I would like to start by wishing you a fantastic week. It is almost hump day yay! I am having a few days off before the exams start and I am so enjoying it at the moment. Today I had some sparkling wine with our super nice neighbors. If you remember back then one of them, obviously not the same one, were trying to sue us while we were going through a leakage problem. Today it was refreshing to see that that one was rather an exception, although sometimes one bug is enough to scratch you. Lifestyle brand of Estée Lauder's grand daughter, Aerin has a fragrance line which is inspired by fabrics. I have previously reviewed Amber Musk (here), Mediterranean Honeysuckle and Iris Meadow (here). 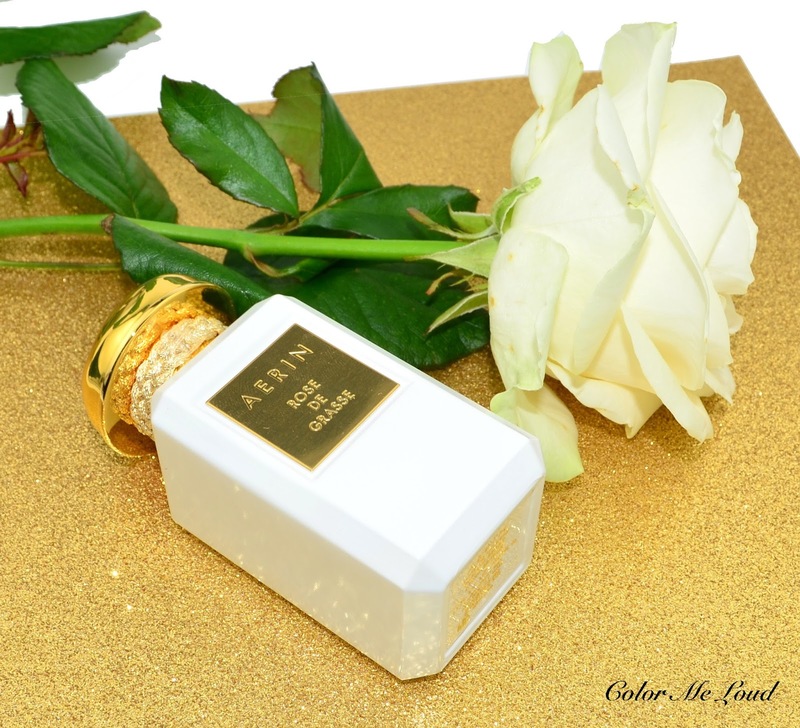 Lately Aerin added the first premium fragrance to her line, Aerin Rose de Grasse Eau de Parfum, about which I would like to share my thoughts today. 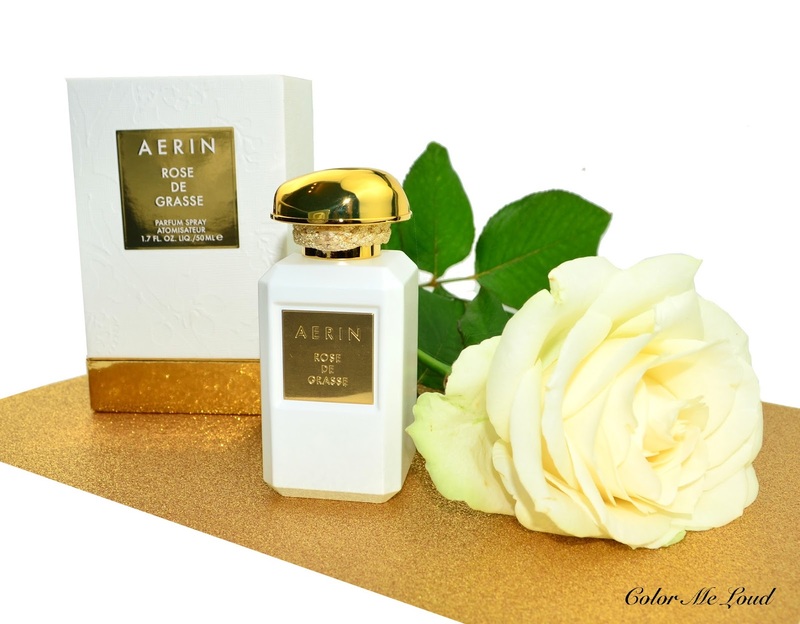 Aerin Rose de Grasse as the name suggests is a rose fragrance, one which aims to capture the glory of three most coveted and rare roses, Rose Centifolia, Rose Otto and Rose Absolute. Think about a fresh bouquet of roses you have on your desk. From time to time a light breeze carries the most delicious and delicate notes to your nose. A bouquet which starts off as fresh, earthy and green and develops to be ambery and woody and never soapy. Rose de Grasse promises a perfect balance, much like the adorable folds of the very flower. It is one of the most realistic rose scents I had yet tried. It reminded me of Jo Malone London's Red Roses (reviewed here) as well so I went ahead and sprayed them together one on each wrist. I love red roses for those sophisticated and feminine days. I find Red Roses to be fresher but less green, less round and less ambery. Rose de Grasse on the other way is more realistic, less fresh but more green by the opening, definitely warmer with a more pleasant sillage and better longevity. I love both of them but I find Rose de Grasse to be more sophisticated. One can feel that the best ingredients are used as well. Final thoughts: Three most delicate and rare roses make up its sophisticated heart. Aerin Rose de Grasse is the most realistic rose bouquet I have yet worn. I am in love with its green fresh cut start but it gets ever better. The warm and woody base lets the roses open up and fill the air with their beauty. 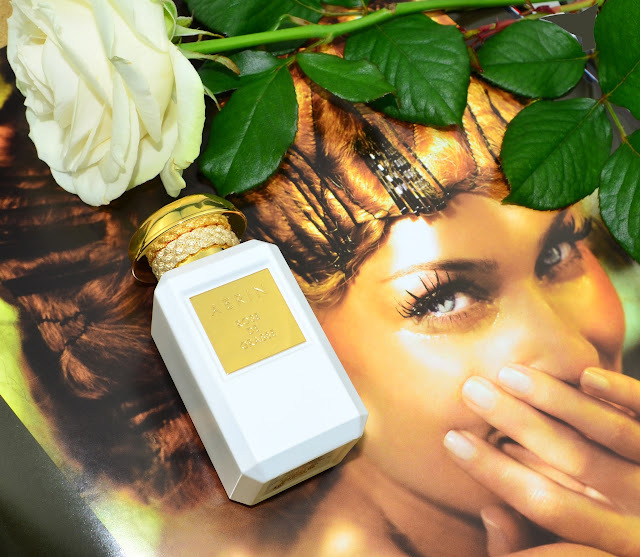 It is not only rose lovers who definitely have to check this fragrance. Aerin Rose de Grasse Eau de Parfum is available at Estée Lauder Online shops (e.g. here, not affiliated) 50 ml is priced around $185. There is also a body wash, body cream and candle available. What is your favorite rose fragrance? I'll pop in to Estee L tomorrow and check if they have it.